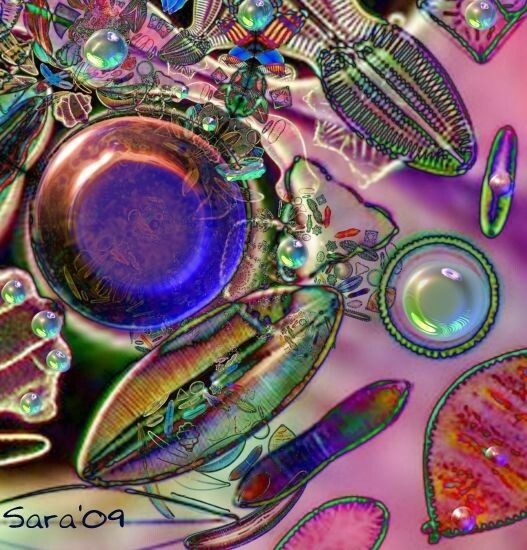 Two versions of MICROGEMS, created from microscopic photographs of diatoms. Beautiful work, Sara. It looks familiar and strange simultaneously. The colours are brilliant. Both are beautiful. I can't choose between them. The variety of color and size and texture is wonderful. Bravo!